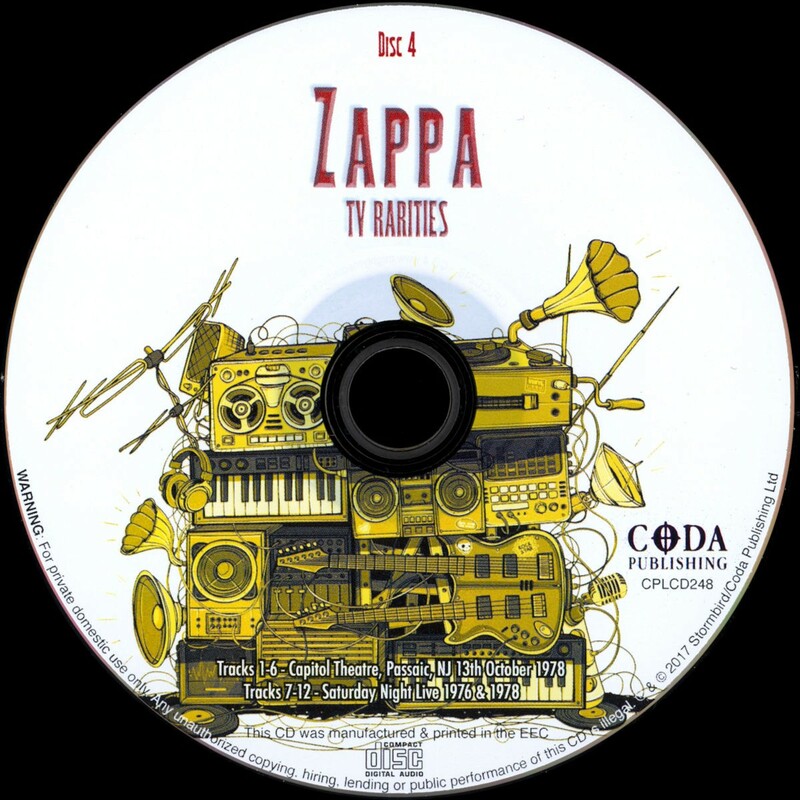 This powerful four disc anthology is a wonderful illustration of the genius that was the late, great Frank Zappa in performance and broadcasting live to air. 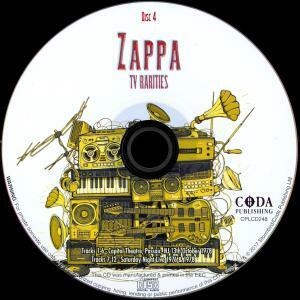 Zappa always defies categorisation. 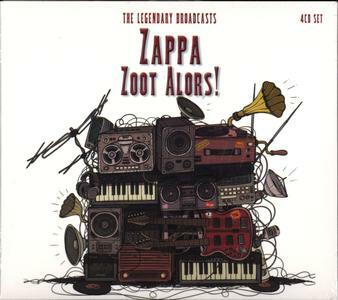 He blended humor, satire, virtuoso guitar, challenging lyrics, bawdy tales, brilliant compositions, and inspired improvisation and somehow managed to make those diverse elements work together in a unique, musical form which defies categorisation, and is known to posterity by the term "Zappa". 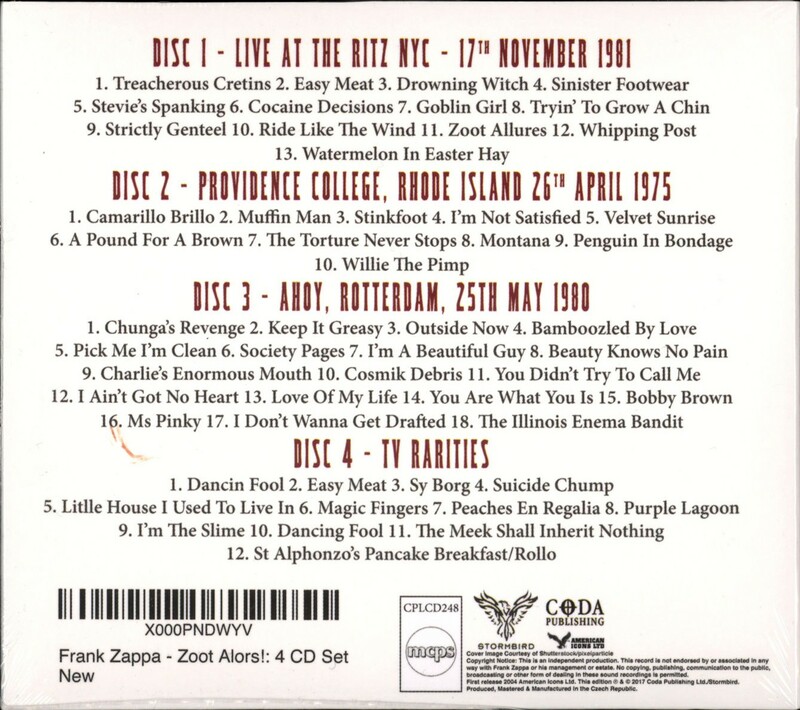 Included here over the four discs are an amazing array of ideas. Disc 1 features the highlights from his 1981 live broadcast from the Ritz in New York. Disc 2 showcases his challenging musical experiments with Captain Beefhart with a 1975 performance in Rhode Island. 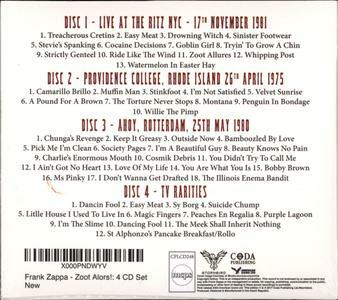 Disc 3 features a 'Chunga's Revenge' era performance broadcast live from Rotterdam in 1980. Disc 4 is a collection of the highlights of a concert broadcast by cable from on stage in Passaic in 1978, along with a selection of live to air US TV performances. ->Rip may not be accurate (total 1 submission).